Opening day began with a photo of Solar Decathlon 2015 student team members, followed by the opening ceremony, which took place in historic Hangar 244 at the Orange County Great Park in Irvine, California. Moniz’s keynote speech provided inspiration to the teams. Speakers included Solar Decathlon Director Richard King, representatives from top-level sponsors Edison International, Schneider Electric, and Wells Fargo; and the City of Irvine City Council. The fun began when Moniz and King introduced the teams, whose excitement spread throughout the room. 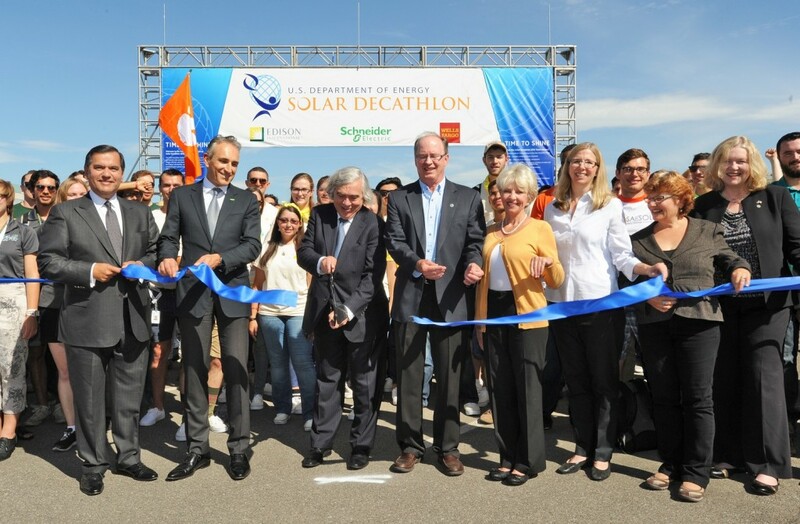 With the Solar Decathlon village now open to visitors, Moniz toured houses of several teams: California State University, Sacramento; Missouri University of Science and Technology; Stevens Institute of Technology; and California Polytechnic State University, San Luis Obispo. Not only is the village open, but today also marks the first day of the competition. Follow along, check out the team scores over the next eight days, and see who wins on October 18! 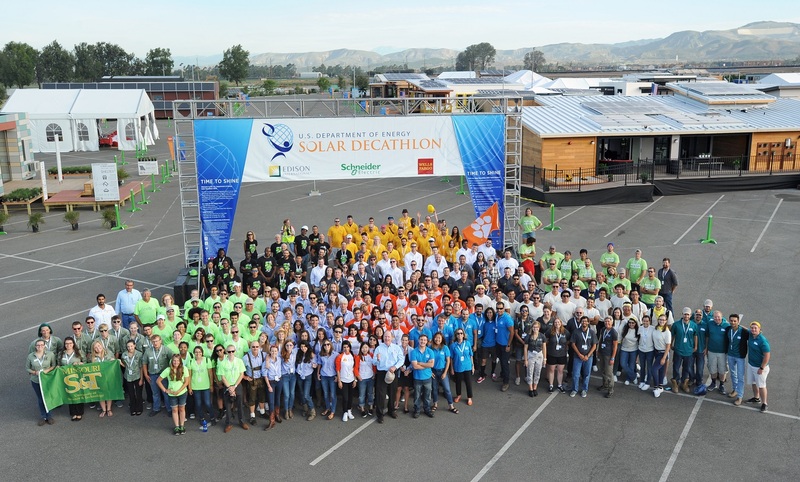 This entry was posted on Thursday, October 8th, 2015 at 8:56 pm and is filed under Cal Poly, Competition, Events, Missouri S&T, Sacramento State, Solar Decathlon, Solar Decathlon 2015, Sponsors, Stevens, Teams, UC Davis.